'Some pupils walk 5-7 kilometres to the school, leaving home at 5.30am. 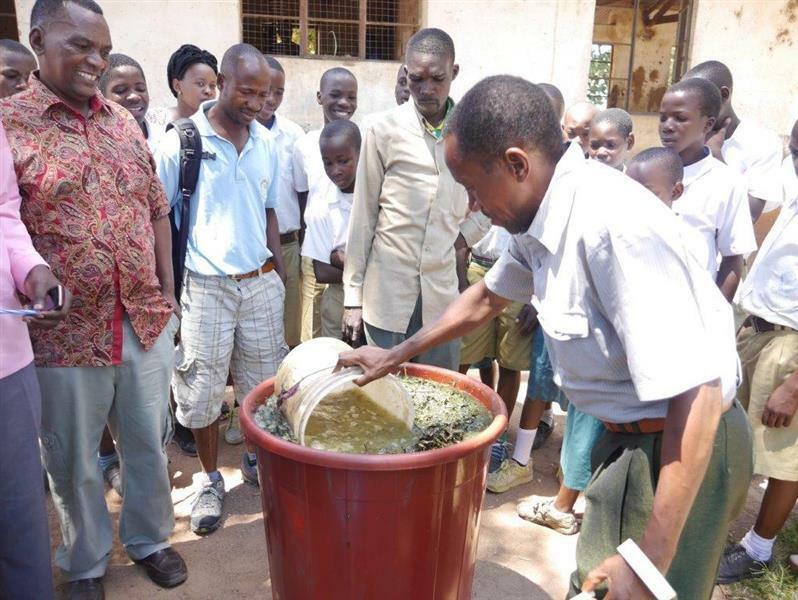 Most of them have no breakfast, often no water all day, until they get home late in the evening.’ The Headmaster of the Pius Museko Secondary School told us. Pius Museko is on the island of Ukerewe, the largest island on Lake Victoria, accessible only by a three and half hour ferry trip from the mainland city of Mwanza in Tanzania. Rotary has during the last six years undertaken many projects on the island to improve health care, education, water supply and also to offer economic opportunities to the people through a microcredit programme. Having heard similar stories from a number of Schools, we decided in 2015 to explore the possibility of encouraging schools to grow food crops and also to inspire pupils to learn good farming practices. 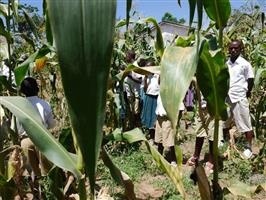 We sought the assistance of a farming group - MVIWAU on the island of Ukerewe. 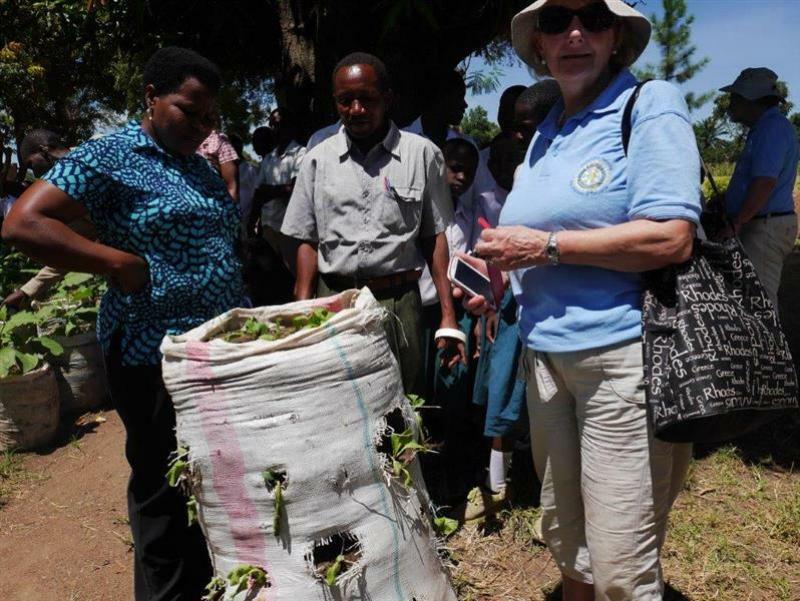 This organisation started in 2011 and works in partnership with Vi Agroforestry, a Swedish NGO. 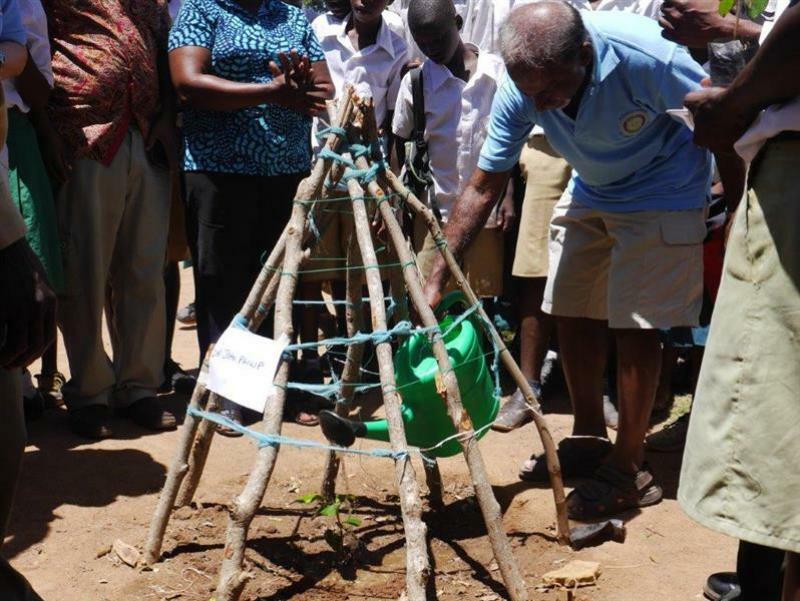 Nansio Rotarians chose Nfakatunguru primary school, situated in the South East of the island for a pilot project. It is one of 124 government primary schools. There are 1065 pupils in the school - aged 7 to 14, out of these 589 are girls and 489 boys. There are 14 teachers of whom 6 are males and 8 females. The school chose 30 pupils to form an ‘Environment club’. Two teachers joined the club to offer day to day supervision. The main goal was to enhance the capacity of the children and teachers to adopt sustainable land use. 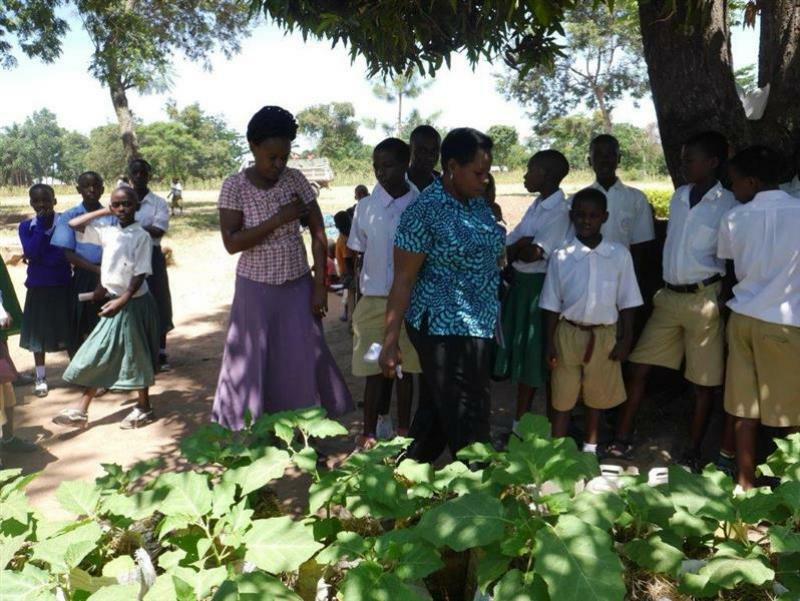 The second goal was to train the pupils in environment and good farming practices. In the beginning of March - six months after the project was launched - we visited the school to review progress. In this short time, the project had made amazing progress and their achievements exceeded our expectations. 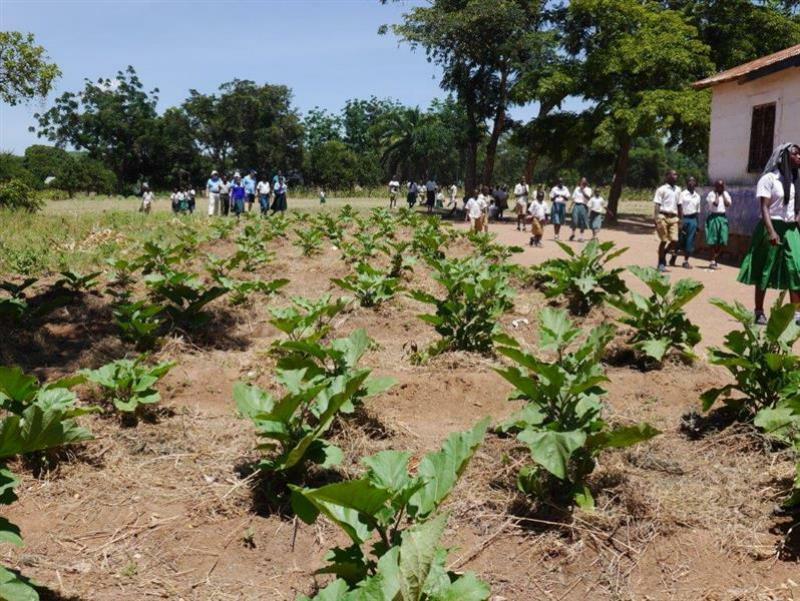 The school had planted two maize gardens, 70 timber trees, 60 grafted mango seedlings, and two beds of nutritious vegetables. The club members received ‘hands on’ training in good farming practices including agro forestry practices, crop rotation, use of farmyard manure, planting of cover crops, mulching, and use of green and liquid manure and tie ridges. These practices aim at climate change adaptation measures and school children haver started to apply them to at their homes. 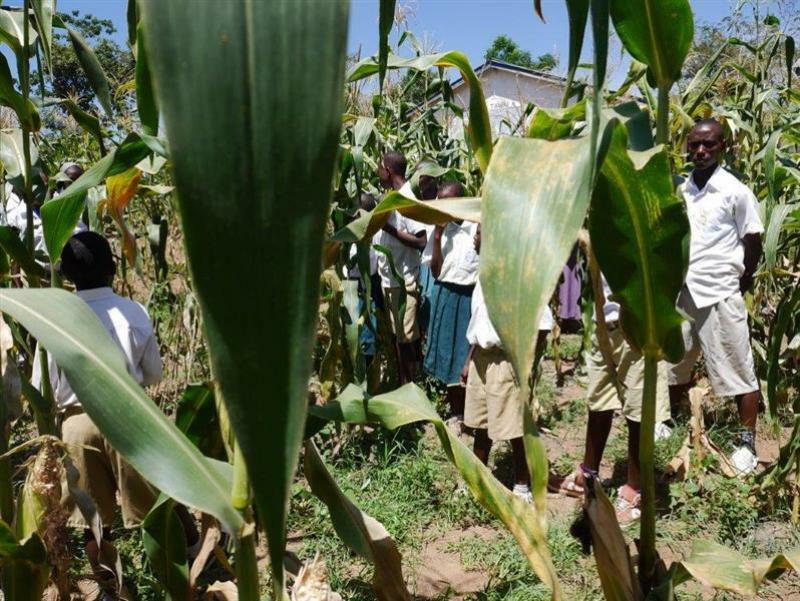 The project has helped pupils and teachers to acquire knowledge on good farming practices and many families near the school have adopted them. The pupils showed great understanding and seemed to enjoy their work. 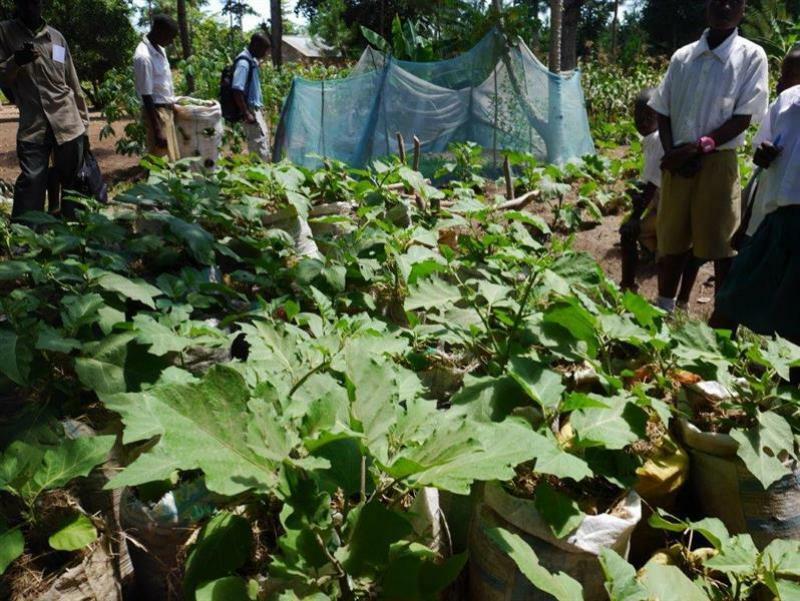 Many of them have established their own small nutritious gardens at their homes. The school shared with us their challenges - ants destroying some crops, some crops were damaged by grazing animals, some mango trees were stolen and a period of drought had affected the crops. Despite these setbacks the group had worked hard, persisted in their goals and demonstrated that given a helping hand they are willing and able to play their role in alleviating poverty and malnutrition. The cost of the project was £1050. This small investment has transformed a school and left legacy in the community. We would like to extend this to other schools. Currently plans have been drawn to extend this to 50 more schools. For a more comprehensive report on the latest visit to Tanzania by John Philip and his team, click on Report of March 2016 visit.